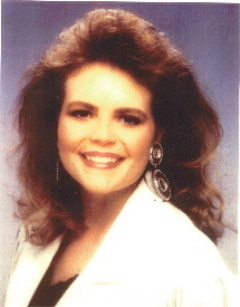 My daughter, Melanie McCracken, 25, died on August 5, 1995. There has never been an official determination of what killed her, but the OMI Chief's personal opinion is "violent assault." Melanie had been married for eighteen months to Mark McCracken, a New Mexico State Police sergeant. One of Mark's stories is that he found Melanie unresponsive and face down on their bed. He didn't call 911, even though they lived one half mile from Living Cross Ambulance. Instead he put Melanie in the back of his 1991 Chevy, (ignoring his State Police car with lights, siren and radio, which was also in the driveway), drove onto the Isleta Indian Reservation, and ran the car into a tree. When rescue arrived Mark pretended to be unconscious, but gave himself away when one of the rescue workers carrying his backboard became unstable and Mark reached out and grabbed hold of his wrist. A test that measures responsiveness in patients showed that Mark was "feigning unconsciousness." Melanie didn't have to "feign" anything. A medic who tried to revive her stated in a deposition that he had "never seen another patient that blue, other than somebody who had been dead for a while or had been asphyxiated." He said he felt at the time that something wasn't right with the scene. "Why was this lady so dead?" The State Police first tried to pass Melanie's death off to Bosque Farms officials as accident related, but the Medical Investigator said she was dead before the accident occurred. The State Police then told the media that Melanie was "cancer-stricken" and had been terminally ill for some time, and Mark McCracken announced that Melanie had leukemia. The autopsy showed no evidence of leukemia or any other disease. The chief of the Office of the Medical Investigator suggested that an outside law enforcement agency handle the case because Mark McCracken was a ranking State Police officer. Darren White, DPS Cabinet Secretary, and Chief Frank Taylor denied that request on the grounds that there was "no conflict of interest." No conflict of interest! Mark's subordinate officers and buddies were the ones who investigated the case, and they didn't do a damned thing! A couple of those officers went to the house as friends, once with the medical examiner and once before, but conducted no official investigation. Photographs that OMI field investigator Luis Brown alleged were taken at the house were nowhere to be found. In 1998 -- on my own, without legal representation, (no Albuquerque lawyer wanted to touch such a controversial issue) -- I filed a federal civil rights suit against Sgt. Mark McCracken and the state police. The suit alleged excessive force and conspiracy, and I got it filed just one day before the statute of limitations expired for federal cases. I filed pro-se and had my parties served. When they failed to respond I filed the necessary paperwork for a default judgment. When I started receiving threatening phone messages from one of their attorneys, who then filed a mountain of paperwork, I wrote Judge Vasquez a letter requesting that an attorney be appointed for me. Expert witness Dr. John Smialek (now deceased), head of forensic pathology at the University of Maryland School of Medicine, issued a written opinion that Melanie died as a result of "homicidal suffocation." Dr. Smialek criticized both the autopsy and the police investigation and suggested that Melanie's body be exhumed and re-examined. When it began to appear that the case would turn into a murder case, my court-appointed attorney succumbed to pressure to settle out of court. The national television show, "Dateline," became interested in Melanie's story and set up a meeting with a magistrate judge who was sympathetic to our cause. When the producer attempted to meet with the judge, two state cop cars blocked the road and turned their lights in her face. She was so scared that she filed a report with her legal department, something she stated she had never done before. Dateline's meeting with Mr. Mireles never occurred, as Mireles was found hanging in his garage in the early morning hours of the day before his scheduled meeting with Dateline. EMS run sheets of 911 calls to the McCracken home, which are believed to have been in the possession of Robert Mireles in his briefcase at the time of his death have never been located to date. Ambulance company employees have stated that there was at least one "report down" at breakfast where OMI investigator Luis Brown stated that something needed to be done about the domestic violence situation which existed in the McCracken home. That "domestically violent" situation had been discussed among the EMs on several other occasions as well. However, Luis Brown, in deposition, denied any knowledge of incidents of domestic violence in the McCracken home. The District Attorney's Office is now looking at Melanie's case as a possible homicide and Mark has hired a criminal defense attorney. To show their on-going support for Mark McCracken, the State Police have now promoted him to the rank of lieutenant. 5/3/02: NBC Dateline did a one-hour coverage of Melanie's case, which won them the Edward R. Murrow Award for investigative reporting. 10/31/03: NMSP Lt. Mark McCracken was indicted for first degree murder and evidence tampering, but charges were dismissed because an investigator for the prosecution was in the grand jury room during testimony. Grand jurors also requested that another grand jury be empanelled to review the conduct of the New Mexico State Police investigators. 12/30/03: Albuquerque Journal: Valencia county Magistrate John Sanchez, a former State Police officer himself, filed a federal civil rights suit against the New Mexico State Police for harassment of him and his family in retaliation for his attempts to persuade authorities to investigate NMSP Lt. Mark McCracken. April 2004: Melanie's family, acting upon the recommendation by the grand jury, petitioned a second grand jury to investigate the New Mexico State Police. Despite the fact that the petition contained the required number of signatures, it was denied. Dec. 2004: Judge David Bonem ruled that former NMPS Lt. Mark McCracken will not have to stand trial for his wife's suspicious death. The judge stated that, while "a violent and unnatural death cannot be excluded," there was not enough probable cause to try McCracken on charges of murder and tampering with evidence. He chastised the NMSP for not allowing an outside agency to take over the investigation of a case in which the suspect was one of their own officers. The end--in dismissal of all charges -- of the almost-decade-old murder case against former State Police Lt. Mark McCracken likely means the public never will know for certain what happened to his wife, Melanie McCracken. That uncertainty aside, the public also might never know whether justice has been served. The evidence in this case and in the court ruling ending it suggests it is time to reform New Mexico State Police regulations to ensure its officers are not above public accountability. At the minimum, Gov. Bill Richardson and the Legislature should consider establishing mandatory independent investigative procedures that require outside and credible investigation when state officers are potential suspects. At best, state officials should consider establishing a completely independent state bureau of investigation, such as those created in several other states. That not only would allow an arms-length investigation of cases in which State Police officers might be under suspicion, but it also could provide highly dedicated, professional investigative capabilities for the State Police, the state's counties and its many small cities and communities -- including internal affairs investigations in any of New Mexico's many police agencies…. The investigation into (Melanie's) death, to say the least, was poorly handled by State Police, who really had no business investigating a case of such highly suspicious circumstances, in which one of their own could have been a suspect… In dismissing murder and tampering-with-evidence charges against McCracken … Bonem suggested what many people outside the State Police fear -- that the case was bungled. He rightly observed, "I believe it is clear to all that the failure to involve an independent agency early on to conduct the investigation was not provident. Hopefully the lesson has been learned." New Mexican's should not assume it has. They should press the Legislature and Richardson to implement reforms to assure New Mexicans that justice will prevail in cases with such questionable circumstances. New Mexicans need to have trust in their law enforcement and judicial systems, which should operate in the bright light of day, not under a shroud of suspicion.